If you’re thinking of getting into collecting world globes, you’ll eventually run into the conundrum every collector out there has realized at some point: the first few globes are easy, but it all it goes downhill after a few more additions to the collection. 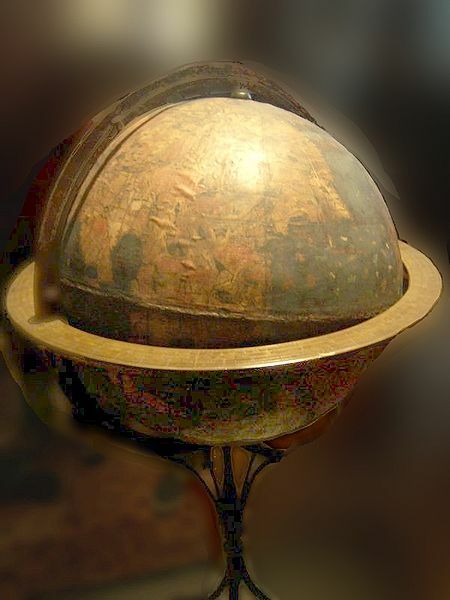 Martin Beheim's "Erdapfel," the oldest surviving terrestrial globe and one of the world's most valuable globes. The reason for this is that when you first start out, there are plenty of modern globes to get your hands on. But once your interest turns to old world globes and other more exotic spheres, the real challenge begins. Here are some tips on where you might be able to scrounge up collectible globes. 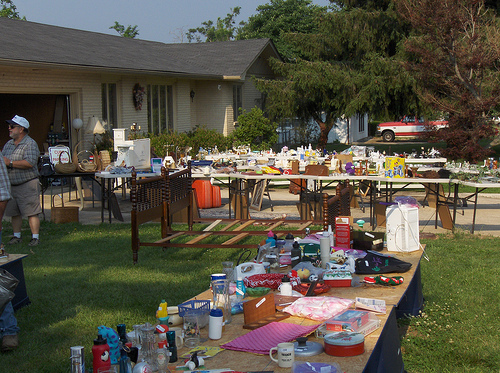 The old adage, “One man’s garbage is another man’s treasure,” couldn’t be more true when it coems to garage sales. While your chances of finding something worth five figures are slim, it’s quite possible to find old globes and other knickknacks someone decided they no longer needed around at garage sales. So grab your local newspaper and make it a habit to wake up early during weekends to go hunting for cheap finds at these sales. Even if you don’t find a collectible globe, you can at least find something else worth buying. Estate sales are perhaps the next level above garage sales. As the name suggests, estate sales are sales where an entire estate or home’s contents are being sold—everything must go during these occasions. Estate sales often occur when someone living in a home passes away and the family wants to dispose of their belongings, perhaps to raise funds or because they don’t know what to do with them. Estate sales usually involve older homes, with older decor that may just include older world globes that have a collectible value. Items in antique stores are normally expensive, but if you don’t mind shelling out the money, they are still a place worth visiting. 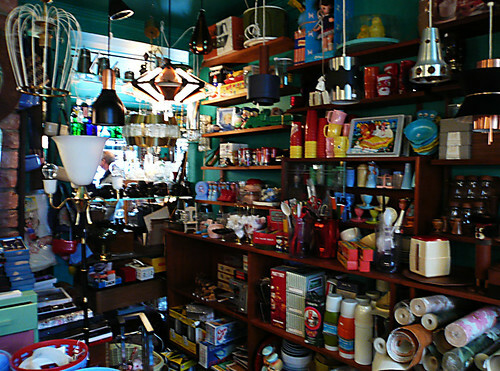 Explore antique stores in your area and see if they have any globes worth adding to your collection. If you don’t find anything, that’s alright. Your real goal at an antique store is to make connections with the shopkeeper and let him know what you’re looking for, the better to get first pickings on globes that may come into the shop. They’ll either reserve for globe they think you’ll buy, or point you to someone else who’s more attuned to globe collecting. Finally, we have auctions. In major cities, there’s always some of kind of antique auction happening somewhere in town. Hit Google and see if there are any auctions for antiques taking place in your area, or talk to fellow collectors and enthusiasts for pointers and tips on these events. If you can’t find anything local, there’s bound to be an auction happening in your state at the very least.